Kate Scudellari grew up on Long Island, attended Brown University, and earned two Master’s degrees from Middlebury College in Madrid and Fordham University in New York City. 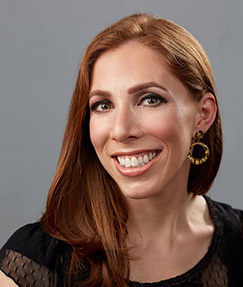 After stints in corporate finance and the Latin American import-export world, Kate taught in Manhattan’s Chinatown and Upper East Side, then Long Island’s Locust Valley; she served five years as Upper School Spanish Teacher, Academic Dean, and Assistant Head of Junior Class at the highly reputable Friends Academy. As a teacher, coach, and advisor, Kate has extensive experience with a wide range of students and specializes in differentiated learning, organizational techniques, study skills, study abroad, character building, and college essay writing. Currently based in Manhattan, Kate continues freelance tutoring and educational consulting. She has an excellent understanding of adolescent learners, positive demeanor, and patient approach while helping college prospects significantly improve their writing.